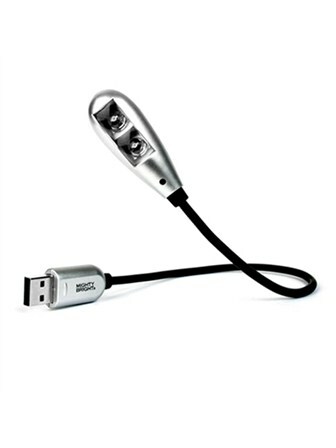 Mighty Bright's 2-LED USB Red Music Light is an innovative spin on their popular 2-LED USB Light. Red helps to eliminate night blindness and enable your eyes to adjust more rapidly in darker environments. Fits any standard USB port.